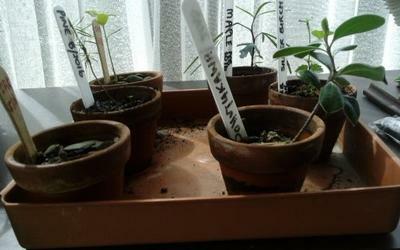 I have started a collection of seedling trees with the hope to bonsai them as they develop. I realise this will be a slow process but potentially a rewarding challenge. From left front: Yet to germinate Oak, Larch Pine, English Oak, Maple, Silver Birch and NZ Pohutukawa.